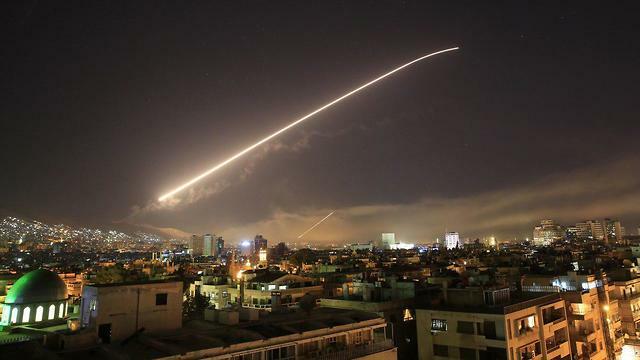 Analysis: The US-led strike in Syria was a symbolic, cautious punishment, without risking a conflict with the Russians, who have signaled that they would defend Assad in any entanglement. As far as Israel is concerned, it remains in the exact same position of an escalating conflict with Iran. Three days before the US-led airstrikes, the Russians still threatened—in a provoking, unprecedented manner—to target not only the missiles fired at Syria but also the vessels and aircraft launching those missiles. The Russians already estimated back then that the US wasn’t actually planning to carry out a significant operation. Indeed, not a single American aircraft carrier sailed to the region, which may have pointed to an intention to launch a long-term operation with a lot of targets. The USS Harry S. Truman aircraft carrier, which left for the region from Virginia on April 11, is expected to arrive here only later this week, if at all. The attack plan prepared by the Americans wasn’t too complicated. According to the Russian army’s operations department, they attacked facilities in six airports and two other targets: A facility belonging to the Syrian Scientific Studies and Research Center (SSRC) and a military base in al-Kiswa, both near Damascus. All are “soft targets”—warehouses and labs for the production of chemical agents. The plan was to evade the Russian defense systems and use long-range precision-guided weapons, mainly Tomahawk missiles, which are unable to take runways out of service or break through fortified bunkers. The most interesting part of this attack wasn’t its military aspect but its diplomatic aspect: It was the first time in many years that these three countries launched a joint operation against a non-ISIS target. It was all fixed. The French defense minister publicly admitted that the Russians had been informed of the strikes beforehand. Israel, Turkey and basically any interested party sitting in Syria had been directly or indirectly informed. And the injuries and damage corresponded with that. There’s no wonder that the first statement issued by the Russian defense ministry was that Russia didn’t use its air defense systems, as it had threatened to do, because the American cruise missiles didn’t even enter the Russian systems’ area of responsibility. The Americans were so cautious, that the facility for the production and storage of chemical substances in Latakia wasn’t attacked, because of the Russian presence there. The result was the lowest level of a limited operation that could be imagined. Trump’s high rhetoric stands in inverse proportion to the real damage caused by this attack. And if that were not enough, the US Department of Defense issued a shameful statement: It was a “one-time shot.” This means that even if the targets weren’t destroyed—and a considerable number of the cruise missiles were intercepted—the Americans have no intention of attacking the same sites again. They don’t care about the results. It was an attack just to fulfill an obligation. And as if to clarify that we’re stuck in the same strategic spot, the IDF Spokesperson’s Unit issued a puzzling statement on the eve of the American attack that the Iranian drone shot down on February 10 had been strapped with explosives. Suddenly, we have come full circle. 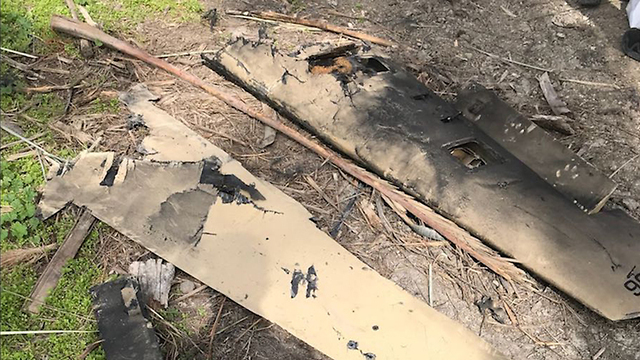 When the drone was shot down, it was unclear what the commotion was all about and why Israel had to lose an F-16 plane to deal with something we had allegedly seen in the past. What was all the noise about this specific drone that was pushing us into a direct conflict with Iran? Now, it turns out that the armed drone was supposed to explode over a certain target in Israel, to make it firmly clear that the Iranians wouldn’t accept the rules of the game dictated by Israel in Syria. 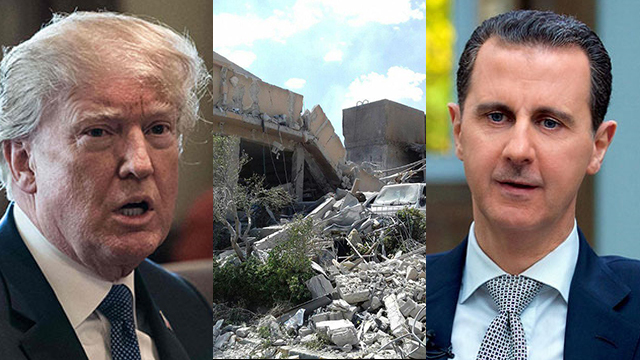 The armed Iranian drone was a response and a threat following the attacks on Iranian facilities in Syria, like a camp famous for taking in pro-Iranian volunteers or a factory for the production of precision-guided missiles. The armed drone was a pioneer in a new Iranian warfare doctrine, which will include—alongside the precision-guided missiles—violent drones that are essentially cruise missiles. Since the base for violent drones was built in the T-4 airbase, it allegedly became a legitimate target from Israel’s perspective, like the factories for the production of precision-guided weapons and the smuggling of weapons to Lebanon. Now Israel is preparing for the possibility that the Iranians will make good on their threat to avenge the death of the seven drone operators who were killed early last Monday at T-4. As part of the retaliation, Iran’s proxies could launch Kornet missiles from a range of five kilometers from the Syrian or Lebanese border and hit IDF vehicles, or launch another violent drone that would hit a certain military target, or a rocket or a surface-to-surface missile. Every such event, defense establishment officials warn, will be met with a harsh response. An all-out war will depend on the number of Israeli casualties.